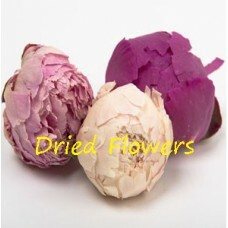 Vintage chic freeze dried peony heads varying in colour from cream to dusky pink. Size varies between 3-7cm. Each pack of 10 heads comes presented in a Shropshire Petals protective box - As seen in You & Your Wedding & Cosmo Bride. Vintage chic freeze dried peony heads varying in colour from cream to dusky pink. Size varies betwee..